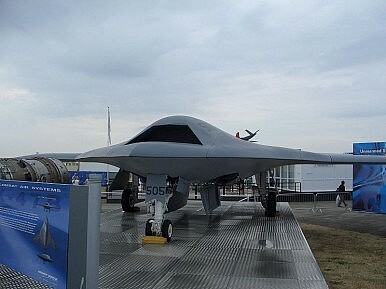 Unmanned Combat Aircraft System: Will It Ever Materialize? An unmanned combat aircraft system would enhance America’s Pacific posture. Still, we’re unlikely to ever see it. Over at Defense News, Mark Gunzinger and Bryan Clark, senior fellows at the Center for Strategic and Budgetary Assessments (CSBA), make the case that it is time for America to embrace “a stealthy unmanned combat aircraft system (UCAS) that would be able to perform strike and surveillance missions over long ranges, thus greatly increasing our nation’s ability to use carriers to maintain a military presence or fight aggression in multiple regions.” They will get no argument from me. Yet, a number of challenges remain that could stop the project from really, well, taking off (sorry, I had to do it). But first, the case they make is pretty straightforward. Anyone following the ebbs and flows over how to breakdown the A2/AD battle networks being developed in China and Iran with ever more sophistication would not argue against a fully-developed UCAS. As the authors point out, American carriers have been able to project power and perform vital missions for decades now. With the spread of ever more advanced A2/AD weapons in larger and larger amounts, U.S. carriers will be forced to fight from longer ranges, limiting their effectiveness more and more. Gunzinger and Clark explain that UCAS must have several “key” capabilities. These include “sufficient stealth to allow it to operate effectively in contested airspace, long range and a sufficient payload to permit it to attack multiple targets at sea and deep inland.” The authors argue against the current UCLASS project, explaining that “if the Navy instead continues to pursue a UCLASS that lacks broadband stealth, carries a small weapons payload and cannot refuel in flight, it will end up with an aircraft that is dedicated mostly to staying out of harm’s way and providing surveillance information to the fleet.” While we all might have loved last year’s YouTube clips of the UCLASS demo making huge strides, America’s military does not need another glorified surveillance platform, no matter the “cool” factor. It goes without saying U.S. forces need all the options they can get when it comes to dealing with A2/AD threats that will only grow more potent in the years to come. Washington has poured enormous resources into its carriers, and will continue to do so for years to come thanks to the upcoming Ford Class CVNs. Anything that can be done to maintain and enhance their power projection capabilities should be encouraged. U.S. forces will simply not have the option of sitting offshore unopposed dropping ordnance on a highly capable A2/AD foe. There are however two big challenges to UCAS that could kill off such efforts. And they both relate to money. In the present budgetary environment, where would the cash come from for a fully developed acquisition program? Would we have to cut another vital program to achieve success? I think Brian McGrath said it best this week when, following Monday’s 2015 Defense budget preview, he argued that America’s defense budget is one “of a declining power, and it represents the triumph of bureaucracy, provincialism, and gridlock.” When cuts are made to defense completely divorced from any thought of military strategy and future threat environments, can we honestly hope for defense officials to embrace such a program that could add more demands to an ever shrinking funding picture? Related to the problem of cost, how many UCAS would each carrier need in each airwing to be truly effective in some sort of challenge against China and Iran? While the answer to this question would necessarily have to be based on how we perceive the lethality of various A2/AD networks, it would make sense to have more rather than less of them. Can America afford the amount that would be needed to truly make a difference, especially against a country the size of China? Truthfully, this is a question I don’t have an answer to. Thankfully, the U.S. over the last several years has focused tremendous efforts on the overcoming the challenge that is A2/AD. As a result, Washington’s defense planners have a good sense of what needs to be done to ensure America’s military is up to the challenge. From politicians here in Washington, to seasoned Asia hands who visit the region quite often, to those who spend most of their days working to analyze and understand the challenges America will face in the future, many can see various paths forward to ensure America’s defensive edge. What is needed now is the ability to prioritize the defensive systems we need to make good on things like ASB or other possible ways to confront A2/AD challenges. UCAS is one of many possible systems that can facilitate America’s ability to project power in the years ahead. But will short-sighted efforts to cut costs without any sense of strategy destroy such efforts? I guess we may just find out. Plus, PLA infantry to exercise with the U.S. and Australia, the UCLASS, and MH17. Defense links.